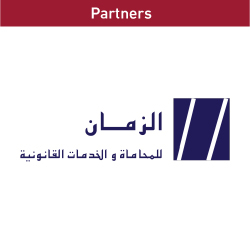 In achieving the recommendations announced by the “2nd World Conference on International Arbitration 2016”, the Qatar International Court and Dispute Resolution Centre (“QICDRC”), in collaboration with the Qatar International Center for Conciliation and Arbitration (QICCA) – Qatar Chamber, has held a seminar on the subject of “The Role of Specialized Courts in Resolving Economical and Financial Disputes” at the court’s venue on Monday. The seminar was presented by two experts. 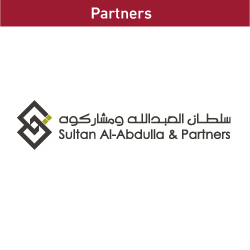 Dr Mohamed Abdulaziz Al-Khulaifi, Dean of the College of Law and Associate Professor of Commercial Law, Qatar University and Khawar Qureshi, QC at Serle Court and McNair Chambers. In attendance were Lord Phillips, President of the Qatar International Court, Faisal Rashid Al-Sahouti, CEO of the QICDRC and other members of the Qatari legal and business communities. 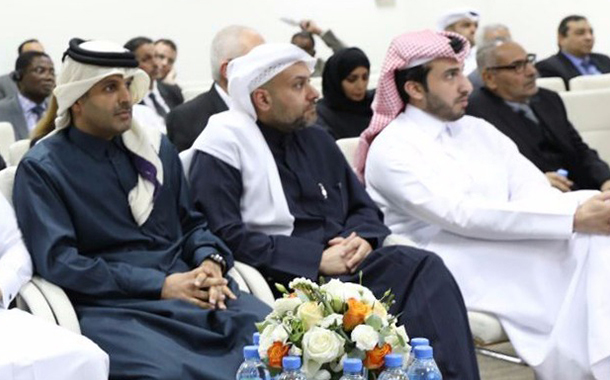 Sheikh Thani bin Ali Al Thani, board member of QICCA was also present. 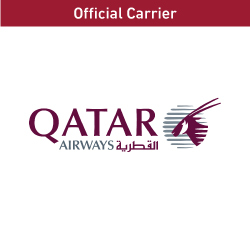 For his part, Sheikh Thani said in a press statements that “QICCA” has settled commercial dispute cases having financial involvement of more than QR1.5bn in 2016 adding: “Qatar has the potential and has become suitable to be one of the international centres for settling commercial and economic disputes”. He said that the number of cases was increasing every year and the centre was not only receiving cases from Qatar-based companies but also from abroad and international companies. 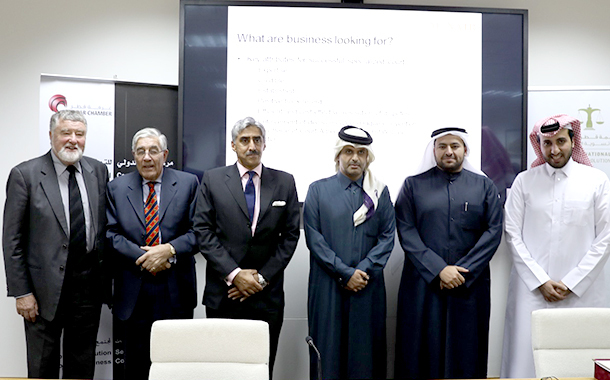 To meet the increasing demand, he said, QICDRC was training every year a number of arbitrators in collaboration with the GCC Commercial Arbitration Center. “The first phase of this year course ended last week hosting around 62 trainees,” he noted. 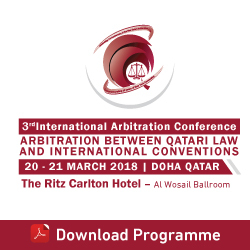 Regarding the Qatari arbitration law, Sheikh Thani pointed out that the law would be issued soon as announced by H E Dr Hassan Lahdan Saqr Al Mohannadi, Minister of Justice, stated during the Second International Conference on International Arbitration held in Doha last October. Dr Al-Khulaifi talked about the right to pursue litigation without obstacle, which is enshrined in the Qatari constitution and applies to everyone in the State of Qatar. Dr Al-Khulaifi went on to outline the importance of establishing specialized commercial courts and the roles that such courts undertake. Examples of specialized commercial courts from around the world were cited which included Iraq, Egypt and France. Dr Al-Khulaifi also discussed the importance of specialized appeal courts for commercial disputes and specific training programmes for judges. 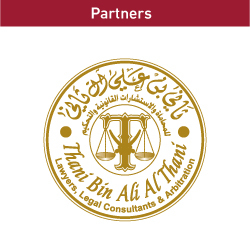 Not only would this help to ensure that justice is achieved in the resolution of commercial disputes, the presence of specialised commercial courts with high caliber judges would likely assist in attracting foreign businesses to choose Qatar as a forum for commercial dispute resolution. Professor Khawar Qureshi QC proposed that Qatar, by having specialised commercial courts- such as the one in the QFC- had the potential to become an international hub for dispute resolution, attracting business from around the globe. However, amendments to the QFC Law would need to be enacted before this can become a reality. Professor Qureshi noted that, statistically, the English Commercial Court is considered the best in the world and attracts business (through litigation and challenges to the arbitration process/ arbitral awards) from all over the world. 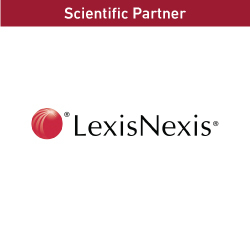 Another impressive jurisdiction is Singapore which has experienced a 300% increase of cases in a period of 10 years, due to its high level infrastructure and experienced judges. Professor Qureshi opined that Qatar can become an international hub from the resolution of commercial disputes- like England or Singapore-though more effort was needed in training judges, investing in the specialised commercial courts and adapting to keep up with the pace of change in the world. 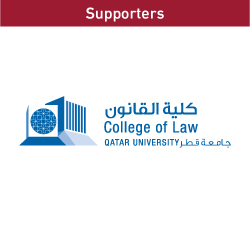 Professor Qureshi noted that the QICDRC should not be seen as being in competition with the domestic civil courts or Qatar Chamber but rather as a complement to those institutions, providing dispute resolution services to a different market and supporting the State of Qatar in its aim of attracting more business to the country.